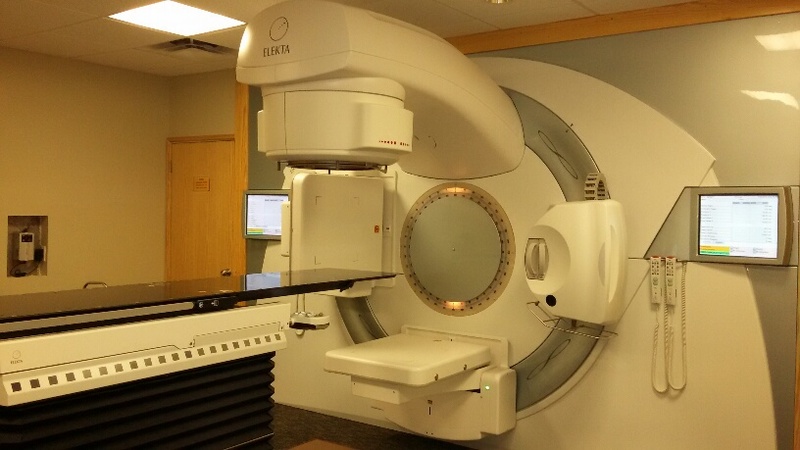 What is External Beam (Radiation) Therapy? External beam therapy (EBT), also called external radiation therapy, is a method for delivering a beam or several beams of high-energy x-rays to a patient’s tumor. 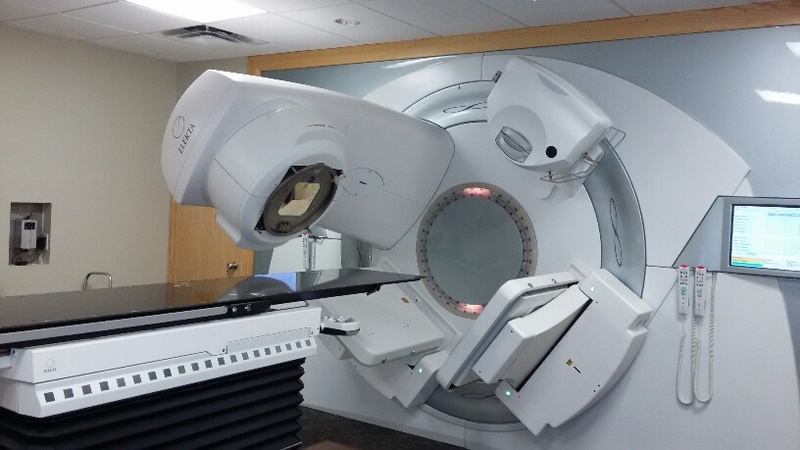 Beams are generated outside the patient (usually by a linear accelerator, see below) and are targeted at the tumor site. 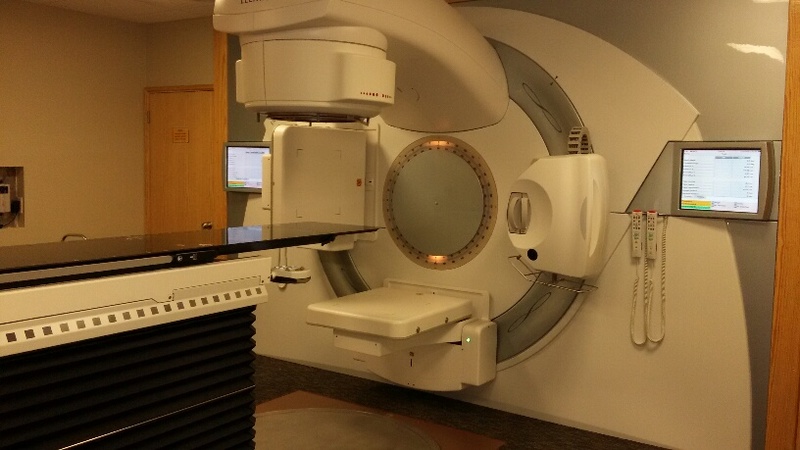 These high energy x-rays can deposit their dose to the area of the tumor to destroy the cancer cells and, with careful treatment planning, spare the surrounding normal tissues. No radioactive sources are placed inside the patient’s body. External beam therapy is most commonly used to treat cancer. Often, the goal is to eliminate a tumor or prevent a tumor from returning. The procedure may also be performed before or after surgery to remove a cancerous tumor, to reduce the tumor size before surgery, or to prevent the tumor from coming back after surgery. EBT may also be used as a palliative treatment in patients with advanced stage cancer or cancer that has metastasized. In this case, the goal of therapy is to reduce a patient’s symptoms rather than cure the cancer. What is External Beam Therapy Used For?